Also available without reporting kit. See it here! 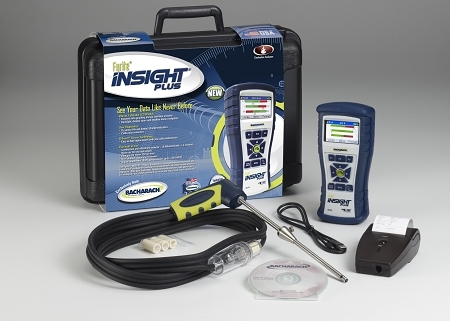 The Fyrite Insight Plus is the perfect tool for busy residential/light-commercial technicians who need to ensure safe operating conditions and determine combustion efficiency. Powered by innovative Tune-Rite software (patent pending), the industry's first-ever on-demand HVAC "assistant," the Insight Plus helps both new and seasoned technicians save money by making more thorough and efficient service calls. The Insight Plus includes sensors for Oxygen (O2) and Carbon Monoxide (CO), which includes a built-in NOx filter. The CO sensor can be replaced in the field without down time using B-Smart pre-calibrated sensors. O2 sensors carry a 2 or 3 year warranty depending on the sensor installed. O2 sensors are field replaceable and do not require calibration. The Insight Plus calculates values like efficiency, CO2* and CO air-free to help monitor combustion processes effectively and accurately. 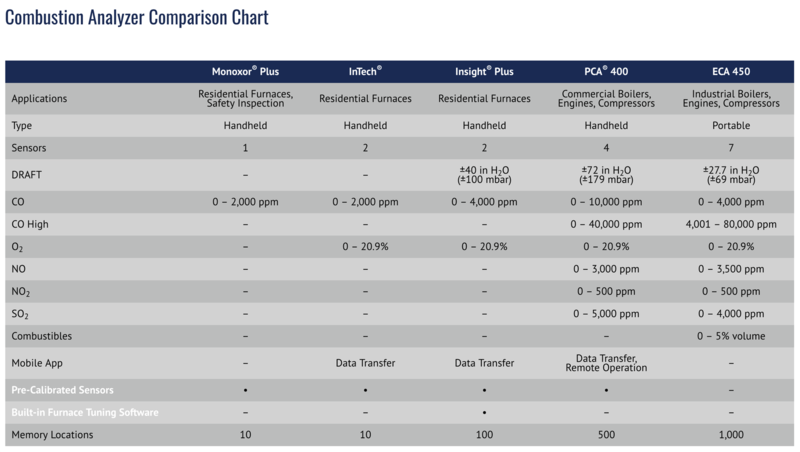 Note: The Fyrite Insight Plus calculates CO2 value based upon other measured values during the combustion process. It does not measure CO2 directly. Industry-exclusive Tune Rite on-demand HVAC "assistant"
The Insight cannot have a NOX sensor installed. 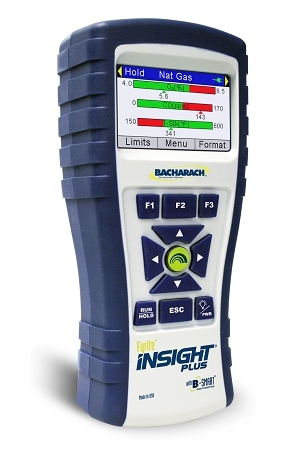 You will want to look at a Bacharach PCA analyzer, that is a 4 gas sensor and will display NOX read out on the display screen. 1430 TruReward$ points will be placed in your account when you buy this item. big plus on appliance calls.